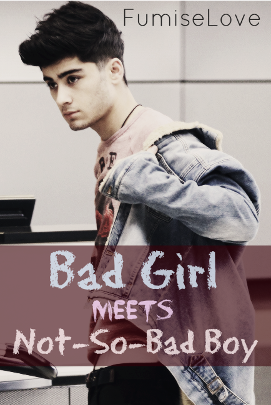 "I only fall for Bad Boys, Malik," I told him. "Even though you look and act like one, you're clearly not one of them." Avarielle Klyser is not your typical girl. Let's just say that she isn't the sweetest girl in the world. Zayn Malik is the Bad Boy figure of the famous band One Direction. He smokes and that's all he can do...according to Avarielle, that is. Avarielle and Zayn didn't meet naturally. Avarielle sneaked into Syco Records, all bruised up. And the Bradford Boi couldn't help himself but to get smitten by her bad ways.